An adorable little boy is spreading smiles across the globe after a video of him celebrating his first steps alongside his dog went viral. "Look, Maggie! I'm walking, Maggie!" Roman Dinkel, 2, can be heard telling his pup in the video. "He's everybody's best friend," said Whitney Dinkel, the toddler's mom. "He could make even the grumpiest person smile." The Dinkel family has three children and lives in Overland Park, Kansas. When Whitney Dinkel was 20 weeks pregnant with Roman, doctors diagnosed him with spina bifida. While in utero, he underwent a surgery meant to improve breathing issues and the functional movement he'd have in his legs after he was born. Roman Dinkel, 2, seen in an undated photo with his mother, Whitney Dinkel. 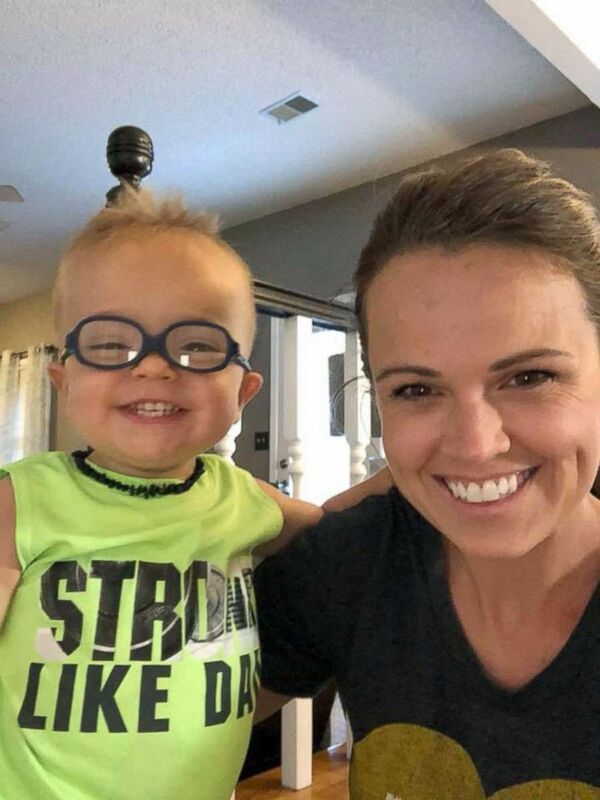 "Before he was born, we were told that there was a chance that he wouldn't be able to walk," Roman's dad, Adam Dinkel, told "Good Morning America." "[We were] scared, confused on why this was happening. And fear is really the big kicker, because you want all your children to have a wonderful life." 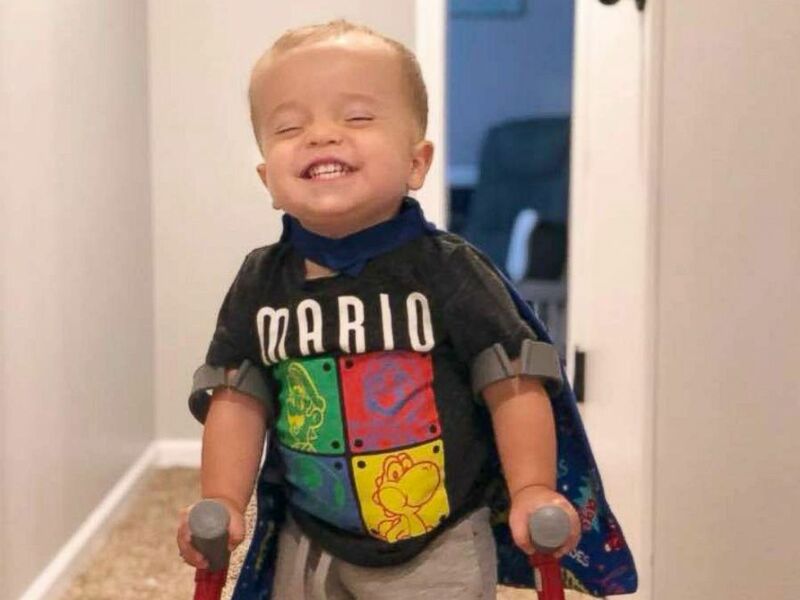 Roman Dinkel, 2, has gained millions of followers from around the world after a video of him walking went viral. "He's a warrior," Adam Dinkel said. 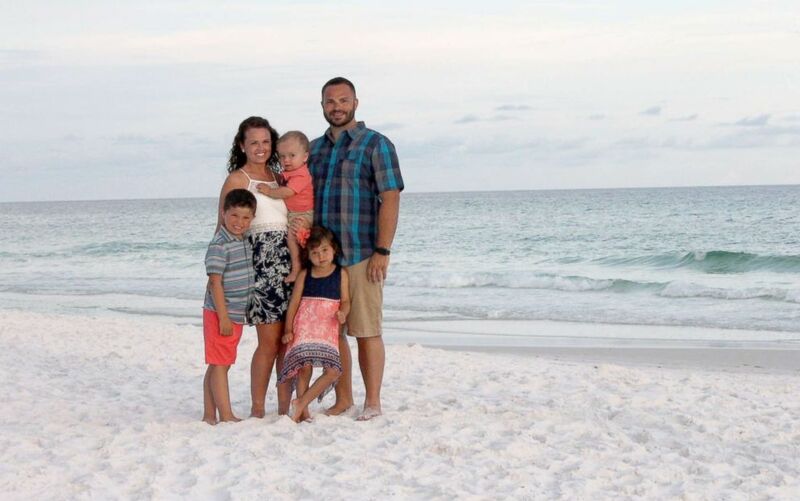 Adam and Whitney Dinkel of Overland Park, Kansas, seen in a photo while vacationing in Florida with their children, Layton, 6, Gracelyn, 4 and Roman, 2. Roman's adventures are shared on the Facebook page, "Defying Odds: Roman's Journey." Roman's videos garner comments from millions who say that his infectious personality has improved their moods and changed their lives for the better. 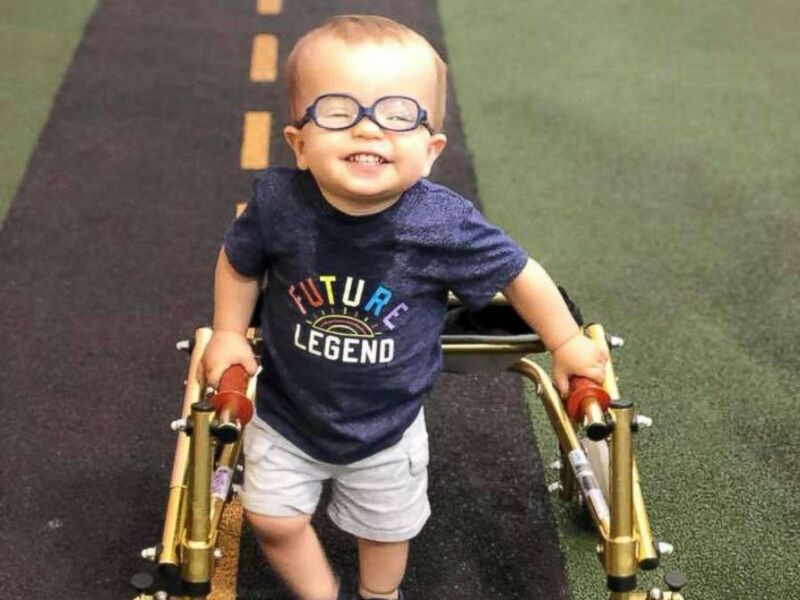 Roman Dinkel, 2, who was born with spina bifida, went viral after sharing the celebratory moment with his dog of him using crutches without assistance. The Dinkels hope Roman's videos will also help shed light on spina bifida.